In conjugate addition, a carbonyl group turns a neighbouring alkene into an electrophilic site. An enone, such as the one below, has two electrophilic positions. 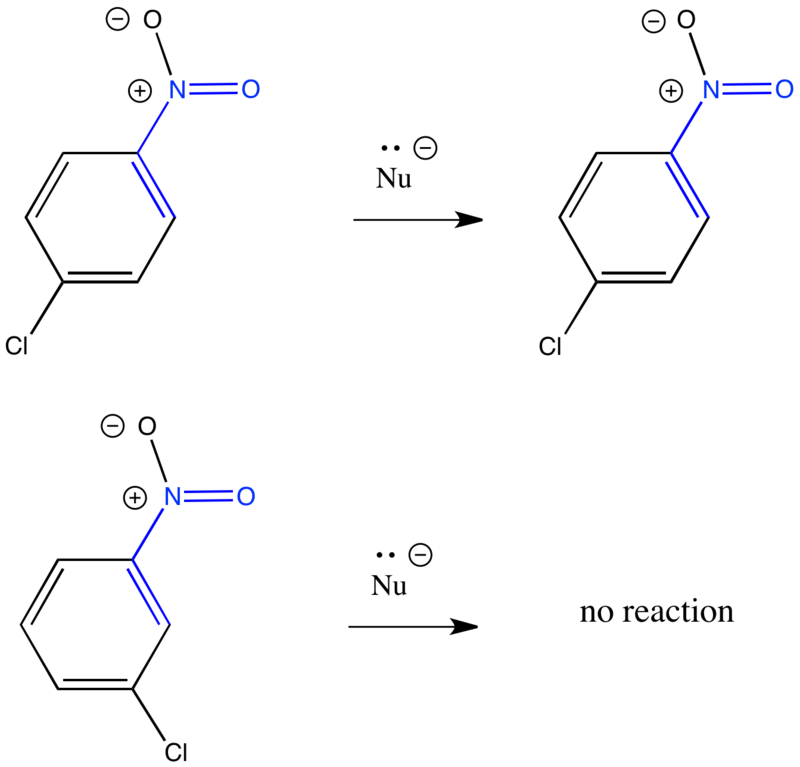 A similar situation happens when pi-acceptors such as nitro groups are attached to aromatic rings. The key step in the mechanism is the loss of the halide ion, which allows the aromaticity to be restored. The location of the halogen and the electron-withdrawing group matters. Explain why the reaction occurs if the groups are in the 1 and 2 positions (ortho to each other) or the 1 and 4 positions (para to each other), but not if they are in the 1 and 3 positions (meta to each other). Explain why the reaction is faster if additional electron-withdrawing groups are present.